Aaron Schlein is one of our biggest supporters. He has been shouting about FLYTE from the rooftops – or, more accurately, from his microphone via the Dramatic Travels podcast. 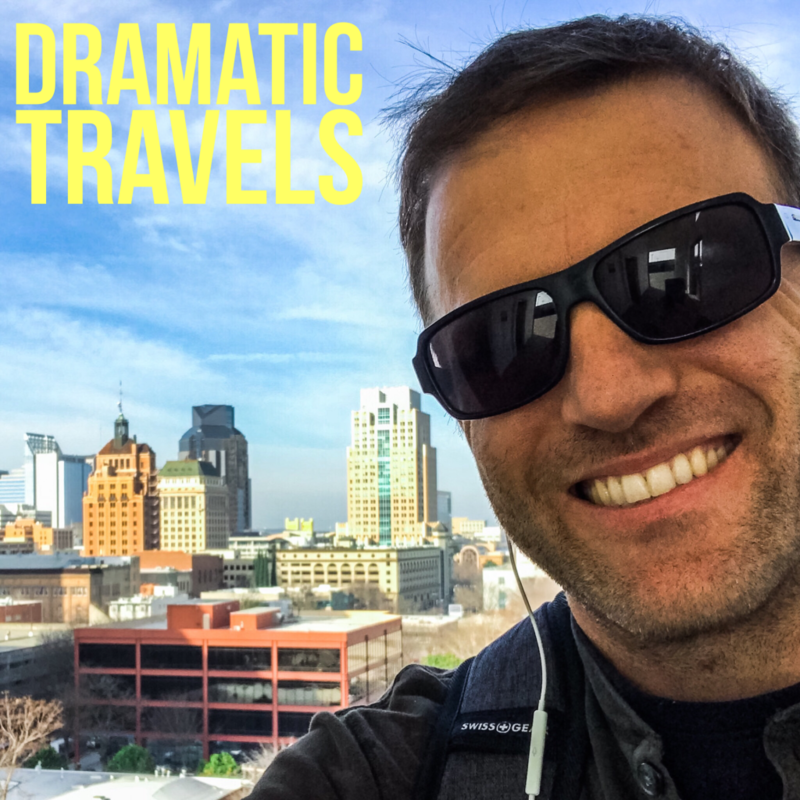 As an avid traveler himself, he knows the power of travel and shares about FLYTE on every one of his podcast episodes. We’re so grateful that he’s using his voice to elevate our message! On a purely practical level, travel has taught me to manage adversity and to thrive in unusual situations. Traveling also instilled in me levels of humility, gratitude, patience, and empathy that may not have developed otherwise. It has also shown me that the world is not nearly as scary as we’re often led to believe. I was 21, and my friend and I were in the middle of a 10-week backpacking trip in Europe. There was no itinerary; we just went where the wind blew us. One night, we arrived by train in Cinque Terre on the Italian Riviera. It was very late, and all the hostels were either closed or fully booked. Our choices were to leave town on the next train or sleep on the beach. We chose door number two. We ended up meeting a bunch of backpackers on the beach who’d also gotten shut out. Two of the guys were musicians—one was a violinist and the other a drummer who played a set of buckets. They were on the road indefinitely, performing on street corners every few days to fund their travels. Their story opened my eyes to what was possible in terms of long-term travel. We stayed up on the beach drinking wine from the bottle while our new friends jammed on their instruments. When the party ended, I curled up in my sleep sack and drifted off to the peaceful babble of the sea. Shortly after sunrise the next morning, we were awoken by a middle-aged woman screaming at us in Italian—calling us bums and telling us to get off her beach. Not the ideal way to end to our night, but it made for a funny memory. Tell us more about Dramatic Travels. How has travel shaped your company’s vision and goals? I owe all the memories and life lessons from my early travels to my grandmother. My life absolutely would not be what it is today without her. She inspired my curiosity and passion for travel. Now that I’m a parent, I want to pay forward my grandmother’s generosity. I want to inspire my own kids and help others do the same. Through Dramatic Travels, I want to ignite people’s curiosity and open their minds to the power of travel. I also want us, as adults, to have a greater understanding of what we can do to inspire the young people in our lives. When I was a kid, I was lucky to have adults in my life who understood the value of travel. My grandmother, in particular, went out of her way to show me the world. Thanks to her, I visited 12 countries on four continents before my 18th birthday. Her generosity changed the course of my life forever. The older I get, the more I realize how truly fortunate I was to travel when I was young. I’ve even daydreamed about starting a non-profit to help give underserved youth the same opportunity to explore the world that I had. Earlier this year, I learned that there is an existing organization doing exactly what I’d always envisioned. Of course, that organization is FLYTE. The FLYTE community is clearly passionate about their mission, and the decision to support them was a no-brainer. There are wonderfully kind people in every corner of this world—meet them! Allow your personal beliefs to be challenged, and find joy in changing your views. We sometimes forget that human evolution is ongoing. As the late comedian Bill Hicks said, “evolution did not end with us growing opposable thumbs.” We’re all evolving every day, and travel might be the best way to accelerate that evolution.